You will enjoy the Dune Bashing in the middle of the desert and will give you a chance to take photos and taking a gander at the delightful encompassing around you. After that, you proceed with the excursion and land into a camp to see and walk in the desert, do the camel ride. Then you will go to the Camp for Amazing Traditional Entertainment and buffet dinner with unlimited soft drinks. The borders of the Desert include Dubai, Sharjah, Ajman, We know after your desert-safari-Dubai and dune bashing in your UAE trip you will not forget it in all of your life, it is unforgettable journey. Most interesting word is not enough for Desert Safari Dubai, you can say it is Awesome exciting activity. We are unlike any other safari tour company in Dubai, we offer you an Excitement and Adventure experience of desert-safari unlike any other anywhere else. 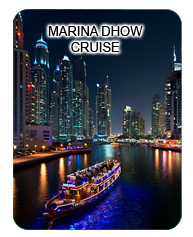 On this tour, we give you a complete savor of the exotic flavor of Dubai. We treat you like a VIP, Dubai style, as you explore the dunes, oases and undulating landscape of the Dubai deserts with your children, friends and your family. Pick and drop, Dune Bashing, Camel Riding, Sand Boarding, Heena Painting, Arabic Dates, Belly dancing, Tanoura Show, Dance floor, Music System, Fire Show, Tea, Welcome drinks and starter, Soft drinks and mineral water, BBQ dinner for veg and non veg peoples, Bedouin tents with carpet & pillows, Dinner tables with carpet and pillows, Pray Area, Local dresses for men & women for photography, Toilets for Ladies and Gents, all include in your tours deal, you will not find anywhere in UAE all facility like this. We have the best desert-safari and this is one experience you can’t miss when in UAE. Choose from the 4 options we offer ! Our desert-safari drivers are all professional and have a passion for giving you a thrilling ride. So all you need to do is mail us and we will take care of the rest. 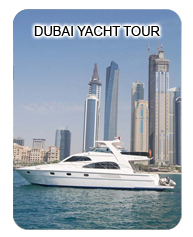 Experience Dubai, Experience the pleasures of yachting in the calm Arabian waters. 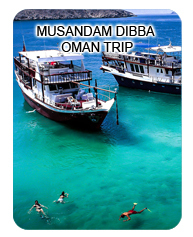 With Alsafa Adventure Tours, Pamper yourself as you travel and sightseeing in style. Feast your eyes on the picturesque Dubai seascape. Whether you’re here for business or pleasure, yachting is the way to go! Yachts charter service guarantees the fun, relaxation and enjoyment. Our experience and specialist knowledge enables us to anticipate and cater for the particular needs of your individual party. We having been helping to create unforgettable yacht vacations. With the right kind of food, services, photography and amazing views of the sea, you are sure you don’t want to head back to the land. Yachts Rental Services provided by Alsafa Yacht rental service are not just about giving you amazing cruise yachts. It is a comprehensive package of variety services and comforts that Alsafa provide you with so that your trip becomes relaxing, joyful and lot of peaceful as you scan the sea and skies in these beauties. A silent cruise along the coast to see the 7 star Burj Al Arab, Burj-Dubai which is the tallest tower in the world right now, Jumeirah Palm and the three hundred manmade world islands. Be a part of an experience that you never want to forget. Explore Dubai at your own pace on a double-decker-bus, open-top Big Bus Dubai tour. Admire top city’s attractions including the Burj Khalifa, Burj Al-Arab and Dubai Creek, and hop on and off at any of 19 stops to visit souks, malls and museums as you please. Choose a 24-hour or 48-hour ticket and ride two different Dubai Big Bus tour routes to explore central Dubai and Jumeirah. Both Dubai-hop-on hop-off tickets include an array of extras including a Dubai Creek cruise, admission to Museum, shopping discounts and more. UAE is full of contrasts, having transformed from a fishing village into a cosmopolitan city in less than a century. From spectacular skyscrapers to traditional souks, there’s plenty for visitors to see and discover. So, climb aboard the open-top Big Bus sightseeing bus and get to know the city with ease. Enjoy 360-degree views of the sights and hop on and hop off at any of 19 stops along different routes. Plus, stay aboard and repeat your circuits any number of times during your chosen ticket time — either 24 hours or 48 hours.